The Arlington in Back Bay is one of the most luxurious apartment buildings in all of Boston. 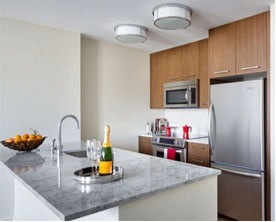 The luxury apartments are going quick, so take advantage of these beautiful units in coveted Bay Village soon! The rent also includes amenities, like a 24-hour concierge, indoor basketball court, and a spa for pets.